ARCH Orthodontics cares about smiles. It’s why we have been serving the greater Boston area with outstanding orthodontics for over four decades – and it is why we are now offering a full range of pediatric dentistry at our Stoughton location from Dr. Karissa Koster. That means you can now get the orthodontic treatment you enjoy supplemented by the complete pediatric smile care you really need. Dr. We think your family deserves it! Don’t you just love it when your kids smile? Hearing them laugh can just light up your day. Taking care of those precious smiles is one of the most important things you can do as a parent because a healthy, strong smile sets the stage for a healthier body and a healthier, longer life! It’s true! Proper oral health care is just as important as getting enough rest, exercise, and nutrition – and choosing the right dentist for your kids is just as important as choosing the right pediatrician! That’s right. A pediatric dentist is much more than a general dentist who likes kids. Pediatric dentists go through the usual four years of training to become dentists – then go on to take two to three more years of rigorous specialty training, residencies, and internships in order to care for infants, children, adolescents, and those with special needs. Not only do children need someone to keep a specially trained eye on their oral development and hygiene, they also need someone who is educated in how to deal with them on an emotional and behavioral level as well. Parents can relax knowing that our pediatric dentist, Dr. Koster, is not only a naturally kind and gentle person, she is also trained to be patient, understanding, and calm – even when little ones feel frightened or have a trouble with self-control. Our attitude and atmosphere are always positive, educational, and supportive. And kids love that we know how to talk to them on their level, helping them understand what to expect during procedures as well as the importance of good oral health – without being boring or complicated. Making sure every visit to the dentist is as pleasant and non-threatening as possible is important. Early dental visits set the stage for lifelong oral health. We encourage you to bring baby along to sibling visits and make sure that infants have their first checkup by the time the first teeth come in, usually around age one. Our fun and playful office, stocked with games and books and decorated with kids in mind, sets the stage for every visit. Some children have so much fun in or office, they don’t want to leave! 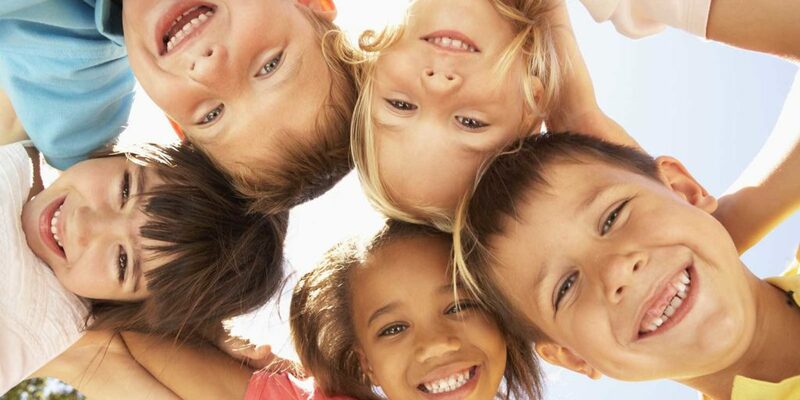 To us, that’s success: Kids who love their dentistry have healthier smiles for life. Your child’s smile deserve a specialist – call ARCH today! Schedule a pediatric dentistry visit with Dr. Karissa Koster!